Trekking is xon every adventure enthusiast’s to-do list. 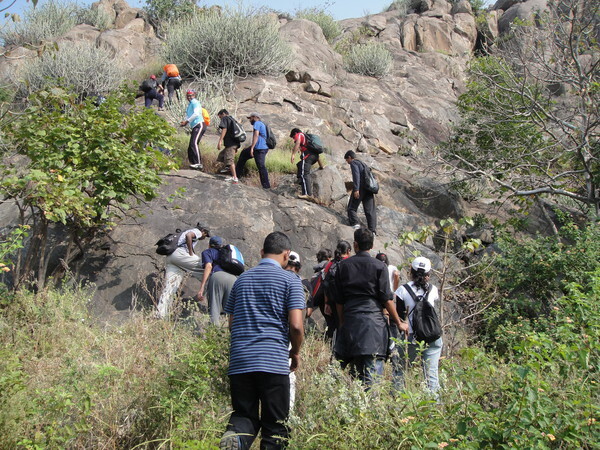 Hyderabad has a plethora of trekking spots for its residents as well as tourists. There are some astounding places that provide some of the best trekking experiences near Hyderabad. Kondamadugu is the countryside near Hyderabad, filled with beautiful idyllic villages. The place is blessed with lush greenery and serenity. The place is also home to the Tiger Hills where you can go camping and trekking. The Golconda Fort is another place apt for trekking in Kondamadugu. You can take a dive into spirituality by visiting the nearby Birla Mandir as well. Kondamadugu is an ideal weekend getaway for many residents of Hyderabad. 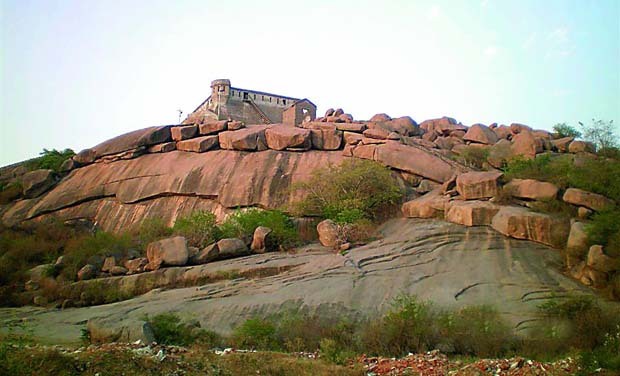 The gunrock hill is a preferred destination for trekkers in Hyderabad. The place is surrounded with Boulders that make for a rough terrain and an ideal trek. The place is also an ideal destination for bouldering- a form of sport where people attempt to climb these massive monoliths. The Gunrock hill was also used as a military strategic point during the British era. You can also visit the Gunrock Cantonment that is situated on top of the hills. One of the great treks near Hyderabad. 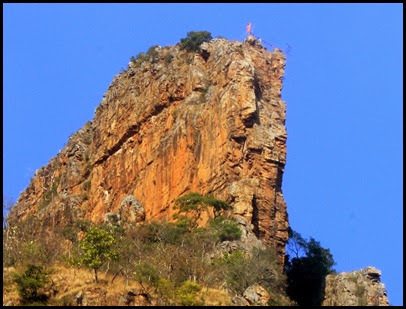 Keesaragutta is a well-known place in Hyderabad to go trekking. It is the home to various famous landmarks like the Nehru Zoological Park, the Chowmahalla palace, and the Keesaragutta temple. The Narsapur Forest is located close to the Balanagar junction.it is a thick dense forest that extends around the expressway for five kilometers approximately. The forests boats of a small Ghat area and a lake that most trekkers prefer on their trek. The forest also has a huge number of monkeys that you can feed while on your trek here. You can typically spend approximately five hours on the various trekking trails of this forest. The Bhongir Fort is a unique structure that is constructed to match the shape of an egg. The fort has two entry points and is concealed by huge rocks making the fort impregnable to any invading army that it faced. The hilltop of the fort provides a panoramic view of the surroundings. The climb to the top of the hill is laid with old steps from when to fort was built. Trekking to the fort during the monsoons is generally not advised as the trail can get sleepy and perilous. The fort was built as early as the 12th century during the rule of the Chalukya Dynasty. The Ananthagiri Hills are surrounded by the eastern ghats that leave visitors transfixed on its beauty. The hills are at an altitude of 1168 metres in the Ranga Reddy district of Telangana. Ananthagiri Hills are said to be home to the earliest recorded forest dwelling civilizations. The souvenirs of forest dwellers can be seen all around the hills. The Borra hills and caves are sites particularly revered for their beauty within the trekking community. Devarakonda is known for its rich cultural heritage that is associated with this region. The place was ruled once ruled by the Velamas dynasty whose remnants can be seen scattered around the area. The Devarakonda Fort is perhaps the most famous remnant of the forgotten age and makes for an excellent trekking spot. Besides trekking, you can also engage in activities like taking a dip in the nearby Ethipothala falls or visiting the Rajiv Gandhi Sanctuary that is located nearby. Nagarjunakonda is a Buddhist town located on an island near the Nagarjuna Sagar Lake in Guntur. The site was once home to many Buddhist universities and Monasteries that would gather students from as far as China, Bengal, and Sri Lanka Now a set of ruins the island offers activities like boating and trekking. You can spend an entire day exploring the island and its ruins. You can also go trekking in the nearby Nagarjunakonda Hills as well. 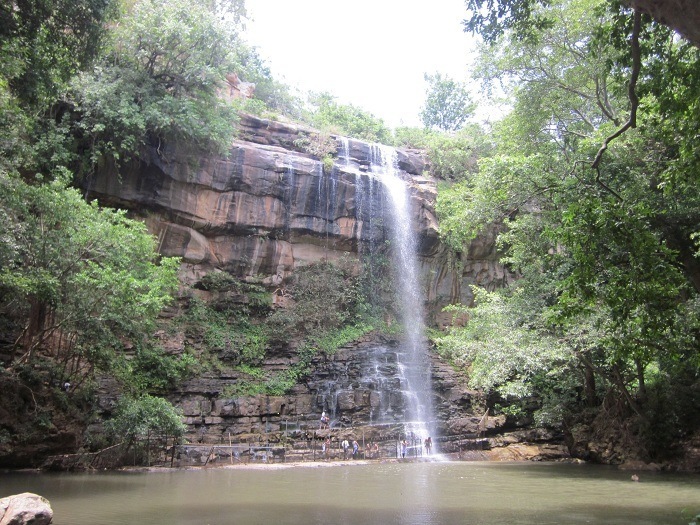 Mallela Theertham is a waterfall located right in the heart of the Nallamala forest in Telangana. The Krishna river flows right through the heart of the forest and its banks make for good camping spots. The waterfall in the dense forest is accessible after a descent into the forest and requires you to climb down approximately 350 steps. The descent itself makes for a compelling trek. The beauty of the waterfall combined with the fact that it is not known to many has made it a hit in the trekking community. The Chincholi forest in Karnataka is a revered trekking spot for residents in Hyderabad. The forest has a Wildlife sanctuary and is surrounded by large boulders and rocks that make for an excellent trek. 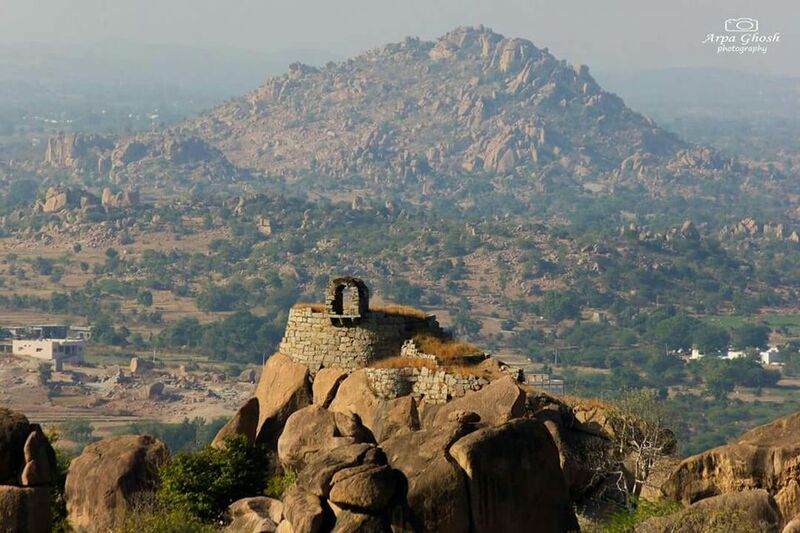 The forest also has the famous Gulbarga fort that makes for another interesting trek. You can also unwind at a camp by the Chandrampalli Dam.The trails in the forest offer an insight into the exotic wildlife of the forest. The Ali Sagar Reservoir is a Popular trekking spot in the region of Nizamabad. The dam was constructed by the Nizams of Hyderabad in 1931 as part of the irrigation project. The Alisagar Deer Park is situated quite near to the reservoir and is the home of many species of deer. You can trek n the park in the natural forming hillocks of the park. There is also a flower garden here where you can spend your time after you finish your trek. Ahobilam is a town that has pilgrimage importance. It is said to be the abode of Lord Narasimha, the half lion half human god who slew the wicked king Hiranyakashipu. The town attracts devotees from all around the country. The place is also a trekking haven due to the forest and the hills nearby. The best time to go trekking here is during the months of Feb and March. Gayatri falls is one of the lesser known trekking spots around Hyderabad. The waterfall is also knowns as the Gadida Gundam by the villagers and they often serve sherpas to the waterfall. The waterfall is a magnificent sight and leaves every onlooker transfixed with its beauty. The surrounding areas of the waterfall are slippery and care should be taken. The difficulty of the trek is moderate however you may want to stock up on water bottles as there are no shops in the vicinity of the falls. So these are the top 15 trekking places near Hyderabad. The next time you’re in Hyderabad do check out these trekking places and let us know of your experiences in the comments section below.